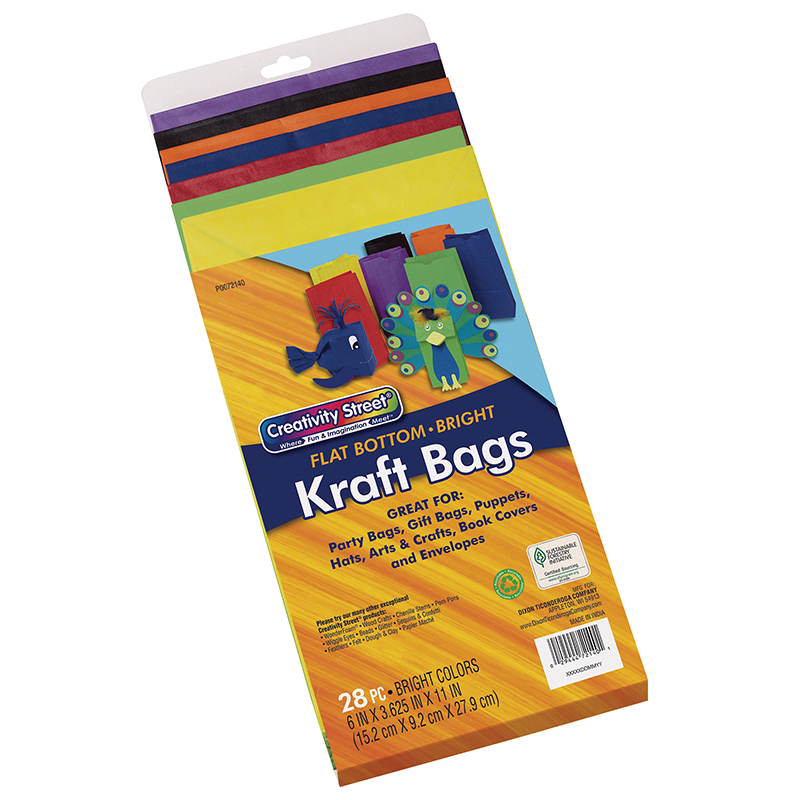 Perfect for many arts and crafts projects like making puppets, masks, party bags, hats and gift bags. 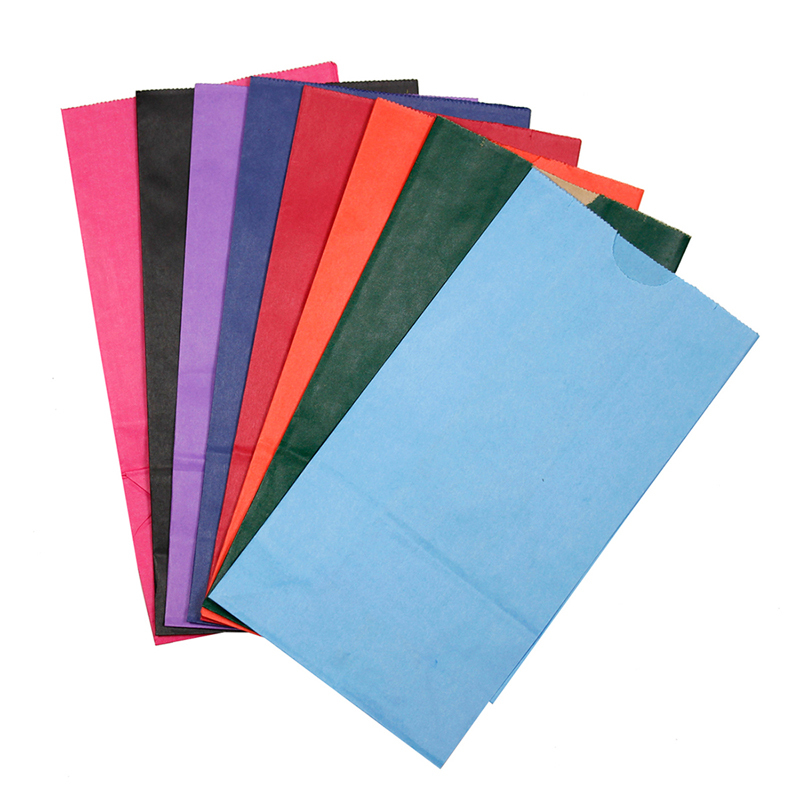 Our bags are made from high-quality, brightly-colored uncoated kraft paper that accepts all types of media like crayons, pens, paints and rubber stamps. 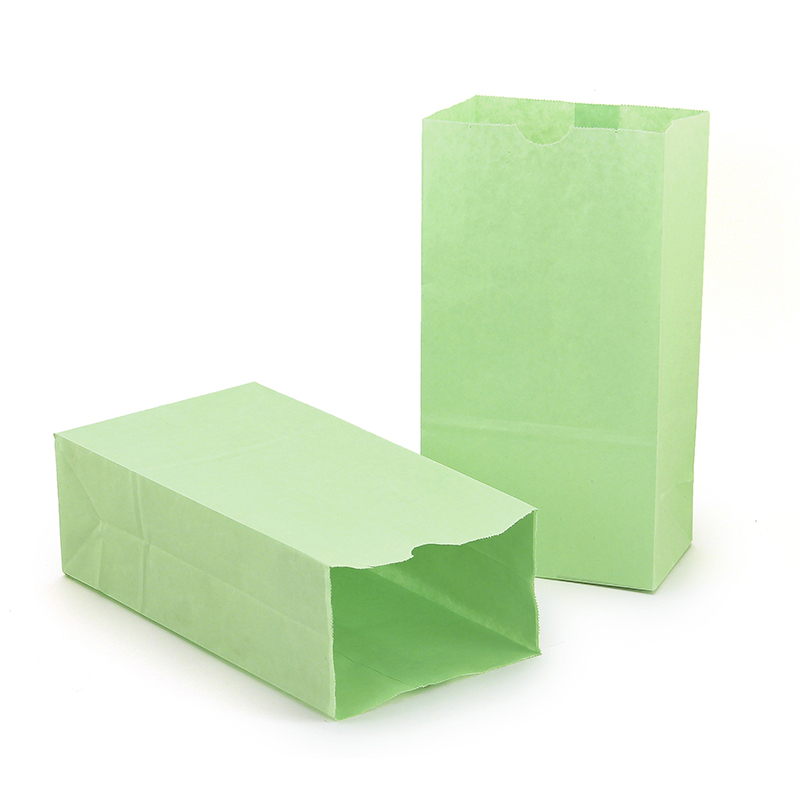 These #6 Flat Bottom Bags come in Assorted Bright colors. 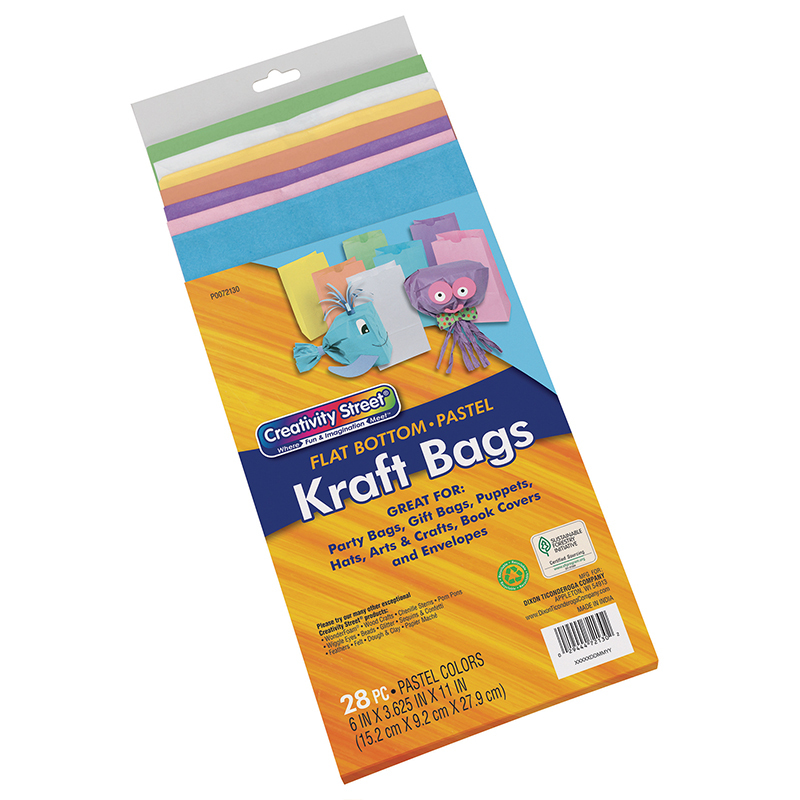 Colorful packaging includes fun project ideas. Recyclable. Measures 6" x 3-5/8" x 11". Includes 28 bags. 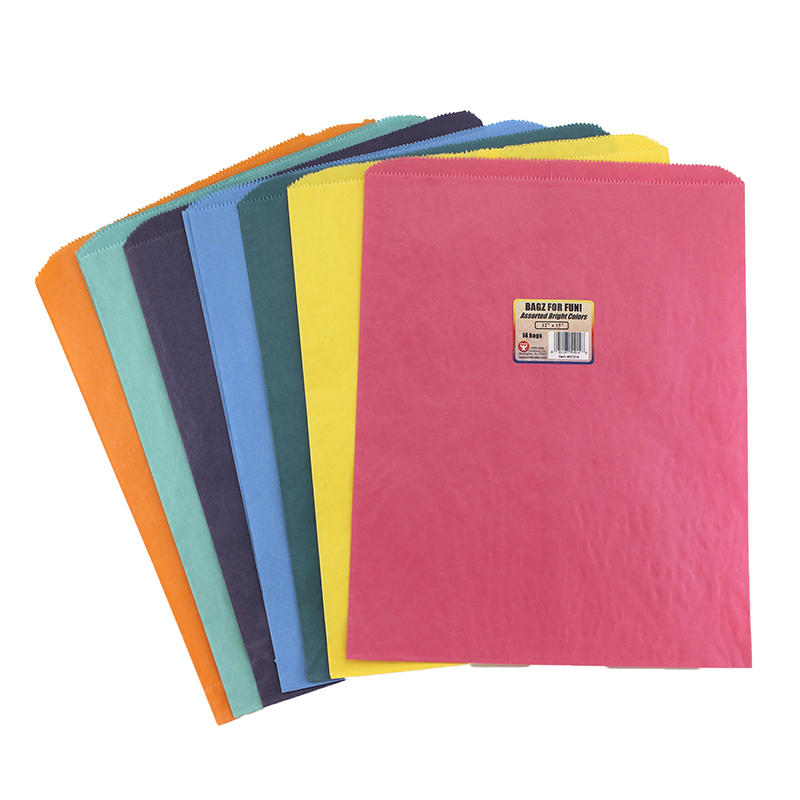 The Bright Rainbow Bags can be found in our Craft Bags product category within the Arts & Crafts.